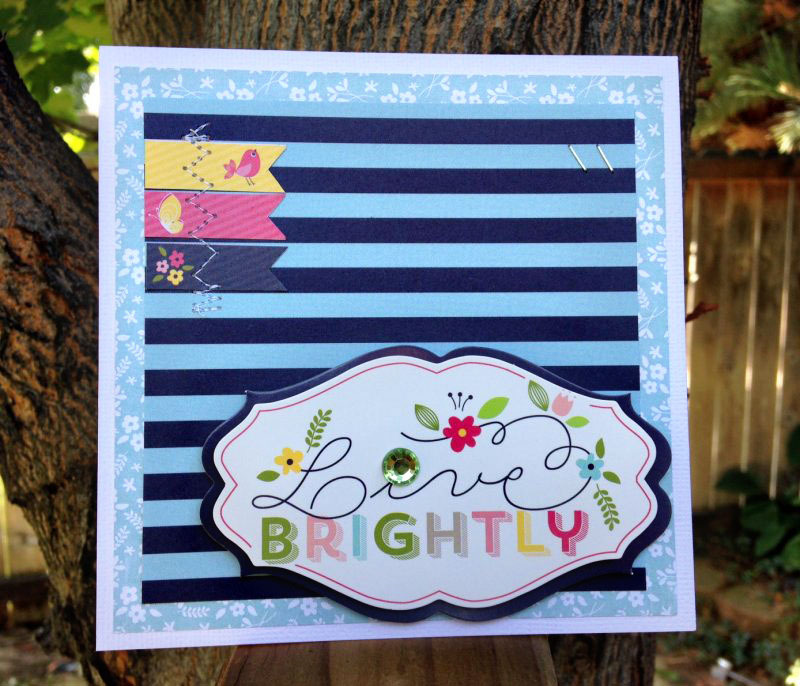 michellephilippi.com» Blog Archive » Live Brightly. Posted by Michelle on August 11th, 2014 . Filed under: Cards, Design Team Work, Imaginisce . I kinda missed this little die cut sticker in Imaginisce’s Welcome Spring collection – don’t know how I did that – and came across it the other day. It’s great because I’ve got the perfect person to send this card to. She is someone who says the neatest things, has the best sense of humor, collects pretty things, and is a mama of bunches of babes. As we start the new week, let’s do that: live brightly. I bet it’ll be glorious! 1 Response to Live Brightly. Oh this is adorable! Love the colors and the big rhinestone on Live.